(Washington) – The Fund for Investigative Journalism is proud to announce continuing support from the Park Foundation for the Fund’s grant program for independent watchdog journalists. The Foundation, based in Ithaca, New York, has awarded a grant for $75,000 that will give critical assistance to reporters working on domestic reporting projects. This is the second year that the Park Foundation has awarded a grant to the Fund. The Fund makes grants to reporters who have the ideas, sources, and know-how to produce groundbreaking investigative journalism, but need help paying the expenses of reporting. Examples of completed projects are an investigation of New York City firefighter fatalities and an investigation of unnecessarily hazardous conditions encountered by Gulf Spill clean-up workers. The grants from the Park Foundation produce more than a dozen investigative reporting projects each year. “This grant will inspire and invigorate the kind of investigative reporting that is so deeply needed in the US at this time,” said Brant Houston, president of the board of the Fund for Investigative Journalism. The Fund for Investigative Journalism is also supported by the Ethics and Excellence Foundation, the Green Park Foundation, and the Gannett Foundation. This year, the Fund was recognized as one of the Washington DC region’s best nonprofits, and will be featured in the 2011-12 Catalogue for Philanthropy. The Fund is the first journalism organization to be listed in the Catalogue, which is distributed to local foundations and philanthropists. Investigative Journalism, 1023 15th Street NW – Suite 350, Washington DC 20005. 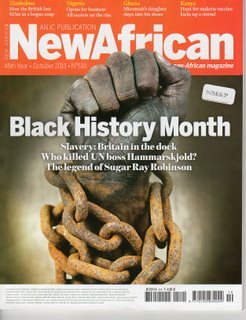 2011 Wanjohi Kabukuru – From Kenya, Kabukuru reports for NewAfrican Magazine: “Malaria kills more people in Africa than HIV-Aids. Therefore attempts to produce a vaccine against the disease should normally be received with joy. But no. The trial stages of a new vaccine, RTS,S have raised a storm in Africa.” The criticism centers on clinical trials of the vaccine that are conducted on infants. From Kenya, Wanhoji Kabukuru reports for NewAfrican Magazine: “Malaria kills more people in Africa than HIV-Aids. Therefore attempts to produce a vaccine against the disease should normally be received with joy. But no. The trial stages of a new vaccine, RTS,S have raised a storm in Africa.” The criticism centers on clinical trials of the vaccine that are conducted on infants. WASHINGTON – (October 6, 2011) The Board of Directors of the Fund for Investigative Journalism has awarded $40,000 in grants for nine independent investigative projects in the United States and overseas. The grants cover travel and other reporting expenses for investigative stories that otherwise would not be told. Significant support from the Park Foundation, the Gannett Foundation, the Ethics and Excellence in Journalism Foundation, the Green Park Foundation, and generous donations from individuals made these grants possible. This year so far, FIJ has awarded $118,000 to journalists working on 32 investigative reporting projects. • Trevor Aaronson’s report, “The Informants,” published by Mother Jones, on sting operations conducted by the FBI in the War on Terror. Aaronson describes how FBI operatives use the threat of deportation to recruit informants, then use their informants to lure alleged terrorists into schemes where the means, the method, and the opportunity to commit acts of terror are cooked up by the FBI. • An investigation by the Florida Center for Investigative Reporting into the misuse of federal stimulus funds in Florida schools. The nonprofit news center found that schools shored up their budgets, which were sagging due to the recession, rather than making school improvements as intended. Now that the recession is continuing to depress revenues from local taxing bodies, the schools will have to dig themselves out of even deeper financial holes and make drastic cuts. 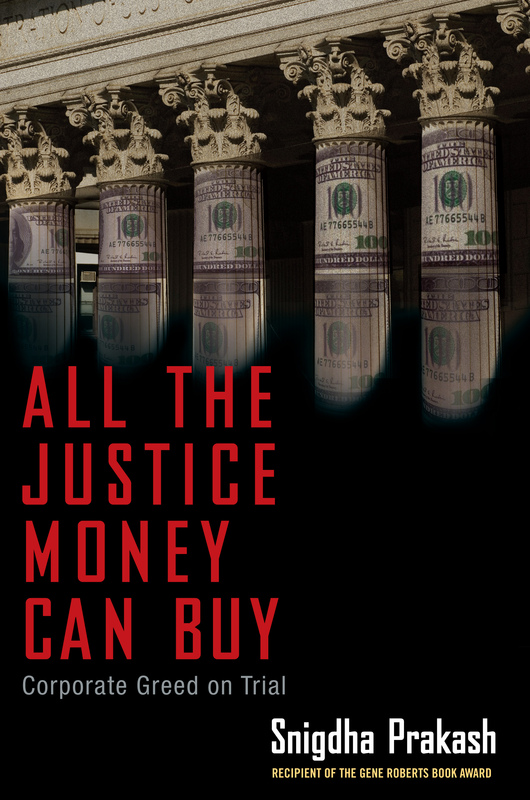 • “Render Unto Rome,” a groundbreaking book by Jason Berry, who has investigated sexual abuse and now financial abuses within the Catholic Church over his long, distinguished career. Berry’s most recent book reveals how bishops use their power to close parishes and sell off property despite the wishes of parishioners — even in cases of parishes that were thriving financially. Church property is sold to bail out other parishes with expensive legal bills and court battles over allegations of sexual abuse. Berry was recently the subject of a profile in the Washington Post, which focused on the tension between his Catholic faith and his dogged reporting on the Church. • An investigation for The Guardian of the use of child laborers to pick tobacco in Malawi. The children are paid extremely low wages and develop nicotine poisoning in the fields, inhaling fumes equivalent to smoking 30 cigarettes a day. Malawi’s economy is dependent on its tobacco production, with 70 percent of its exports coming from this industry. The country also has the highest incidence of child labor in southern Africa, with 90 percent of all underage children working on farms. • The Chicago Reporter took an in-depth look at the minority contracting program in Illinois. It discovered that work that is supposed to be designated for companies owned by people with disabilities instead goes to sheltered workshops – which employ disabled people in supervised settings and pay less than minimum wage. They also found that the state isn’t meeting its own goals for minority contracts, and that for those minority contractors who get work, it doesn’t necessarily expand their business in any lasting way – the ultimate goal of this set-aside program. The Fund for Investigative Journalism is an independent, non-profit organization that has supported hundreds of public service reporting projects since 1969, when it provided funding for Seymour Hersh to investigate and expose the massacre of Vietnamese civilians by American soldiers in My Lai. His stories won the Pulitzer Prize. Read more about FIJ-supported projects and instructions for grant applications at www.fij.org. The next deadline to submit proposals is Tuesday, November 1. Journalists with questions about the application process are encouraged to contact executive director Sandy Bergo by phone, 202-391-0206, or email, fundfij@gmail.com. WASHINGTON (October 3, 2011) — The Fund for Investigative Journalism (FIJ) is seeking grant proposals for independent investigative projects from journalists who need support for travel and other reporting expenses. The deadline for proposals is 5 p.m. EST, Tuesday November 1. FIJ is interested in proposals from reporters investigating issues in the United States, especially those relating to governmental accountability, the environment, and local or regional issues with national implications. Applications from ethnic media are strongly encouraged. Applications for international projects are currently closed. These grants are made possible through generous funding from the Gannett Foundation, the Park Foundation, the Green Park Foundation, the Ethics and Excellence in Journalism Foundation, and the public. The Fund is supported by the John S. and James L. Knight Chair in Investigative and Enterprise Reporting at the Journalism Department in the College of Media at the University of Illinois. For more than forty years, the Fund for Investigative Journalism has supported work by independent and freelance reporters who do not have the resources to do their investigations. Grants average $5,000. The awards support the costs of reporting, such as travel and document production expenses. In limited cases, small stipends will be considered as part of the overall award. FIJ accepts applications through its website, www.fij.org. Questions about the application process should be directed to executive director Sandy Bergo, fundfij@gmail.com. In partnership with Investigative Reporters and Editors, the FIJ also matches grant recipients with veteran journalists who serve as mentors, at the recipient’s request. The Fund depends on donations from foundations and individuals. Donations can be made online or by mail to The Fund for Investigative Journalism, 1023 15th Street NW – Suite 350, Washington DC 20005.